Traditional herbal medicine to facilitate removal of body fluids in weight control diets. ARKOCAPSULAS Ortosifón is a traditional herbal medicine to facilitate removal of body fluids in weight control diets. You should consult a doctor if worsens or does not improve after 14 days. - If you are allergic to the active substance or any of the other ingredients of this medicine. - If you have heart or kidney failure, consult your doctor before taking this medicine. It is not recommended the use of this medicine in people who have recommended reducing fluid intake. Ask your pharmacist or doctor before you start taking ARKOCAPSULAS Ortosifón. the use of this medicine in addition to dietary measures recommended in overweight people with Body Mass Index (BMI) of 25-29.9. BMI is a way to know if you have a healthy weight or overweight considering his stature. Do not use this medicine for children under 12 years old. Tell your pharmacist or doctor if you are taking, have recently taken or might take any other medicines. Food and drink have no influence on the effect of the medicine. If you are pregnant or breast-feeding, you think you may be pregnant or planning to become pregnant, ask your pharmacist or doctor before using this medicine. No studies have been conducted to establish the safety of using this medicine during pregnancy or breast-feeding, so that his administration is not recommended in these circumstances. No there has been no effect on the ability to drive and use machines. Follow exactly the instructions of medicine administration in this leaflet or as your pharmacist or doctor. If in doubt, ask your pharmacist or doctor. - Adolescents over 12 years old: Take 2 capsules twice a day with a glass of water. - Adults: take 2 or 3 capsules twice a day with a glass of water. This medicine is used orally. Used over a period of 6 weeks. If symptoms worsen or do not improve after 2 weeks of treatment, you should consult a professional sanitary. Do not use in children under 12 years old, without consulting a doctor. There have been no cases of overdosage with ARKOCAPSULAS Ortosifón. 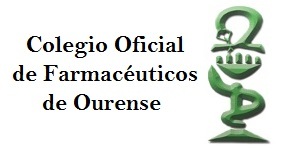 In case of overdose or accidental ingestion, consult your pharmacist or doctor immediately or call Toxicology Information Service on +34 91 562 04 20, indicating the product and the amount ingested. following. In any case take a double dose to make up the missed dose. At recommended doses ARKOCAPSULAS Ortosifón no adverse effects. If you experience side effects, consult your pharmacist, doctor or nurse, even if it comes to possible side effects not listed in this leaflet. Keep out of reach and sight of children. Do not store above 30 ° C.
Do not use ARKOCAPSULAS Ortosifón after the expiration date on the carton after the abbreviation "CAD". The expiry date is the last day of that month. Medicines should not be disposed of via wastewater or household waste. Ask your pharmacist how to dispose of medicines no longer required. This way you will help to protect the environment. Each capsule contains as active principo: 250 mg criomolidos stem with leaves of Orthosiphon stamineus Benth (Ortosifón). The other ingredients are excipients: gelatin (capsule shell).